Hello everyone. It's Tracey here to share a winter layout featuring gorgeous Leaky Shed chipboard on this layout of our daughter sledding when she was a little girl. Here you can see the French Curve Scroll which I cut in half to use as a flourish. 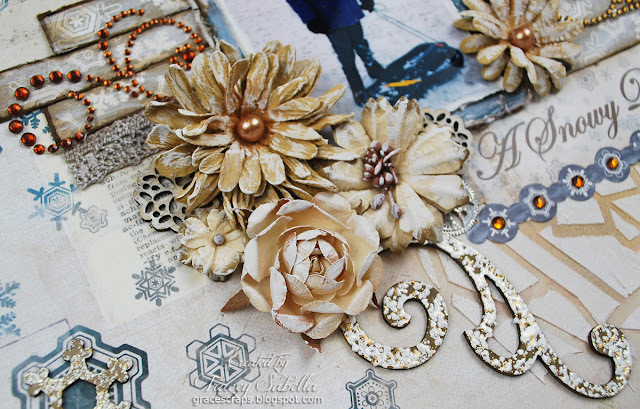 Don't be afraid to cut your chipboard pieces to get different looks. 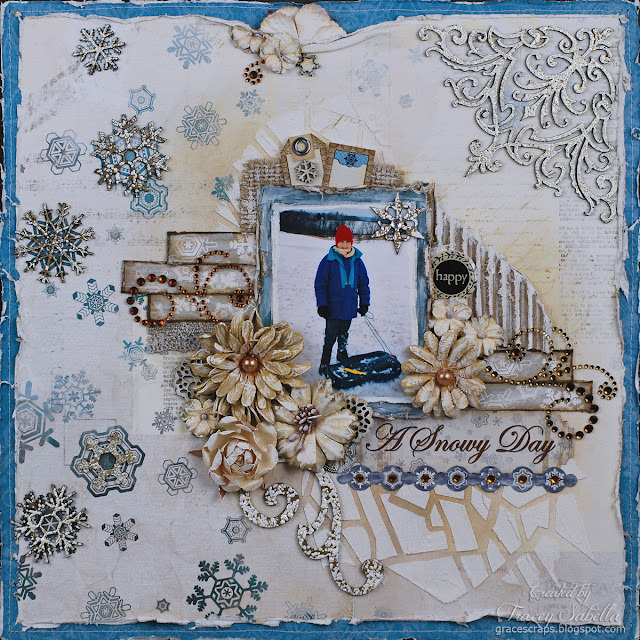 Flowers and other elements were dry brushed with gesso to lighten and give a snowy feel. 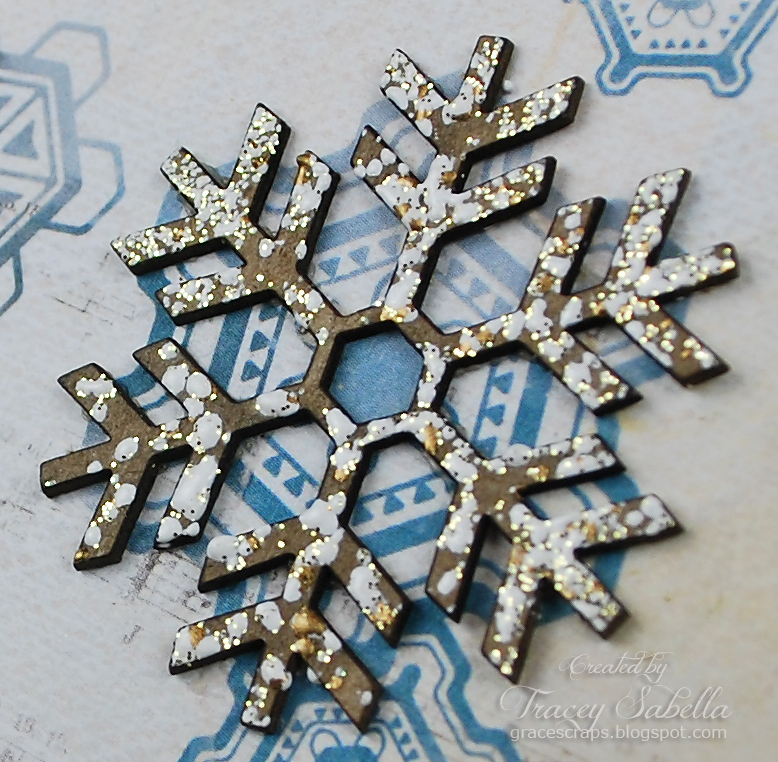 I wanted the snowflakes to have a shabby look, so sprinkled embossing powder with a light hand so some of the natural chipboard would show through. These snowflakes worked absolutely perfectly with the flakes on this Winter Wonderland BoBunny paper. I used the smallest snowflake on the corner of my photo and centered with a clear rhinestone. 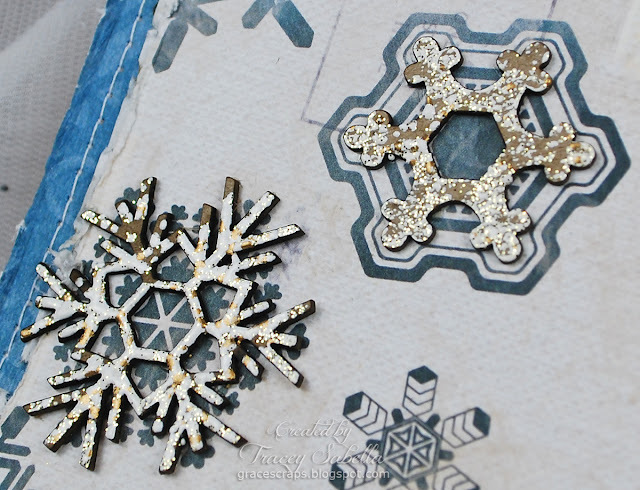 The tiny snowflake on the tag and around the page are wood veneer pieces. One of my favorite LSS chipboard pieces is this ornate corner with it's intricate design. Stampendous Fran-tage embossing enamel is such a great product that makes dressing up chipboard so very easy. I simply pressed the chipboard into a Perfect Medium pad (Any clear embossing pad would work. 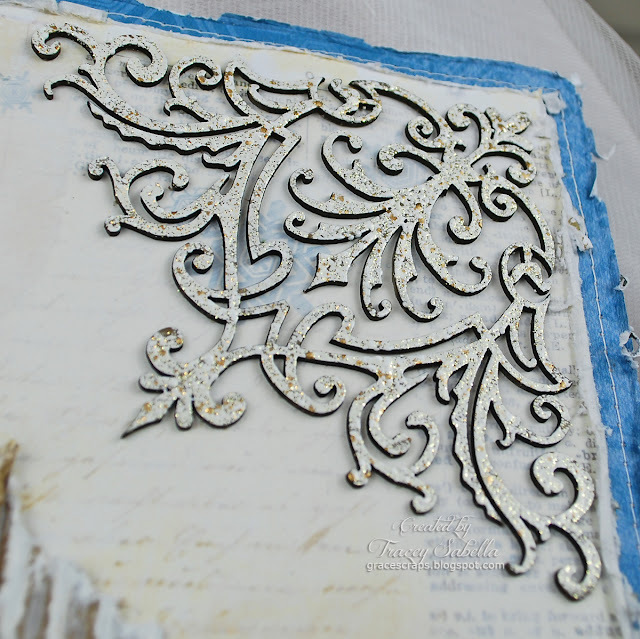 ), then sprinkled on Shabby White embossing enamel and heat set. This embossing enamel has several different colors and sizes of enamel and even some fine gold glitter, perfect for this wintry page. One final snowflake. Look at the wonderful cut detail on this piece! other supplies used to create this layout. to be inspired by a project designed by Kris Sylvester. This is sooooooooooo gorgeous!! I love love love those snowflakes!!!!!!! Fabby looking lo as always and the colour combo is amazing. What a smashing way to remember at great day. Wow Tracey ! Love the perfect matching colors, and the way you did the chippies! Wow gorgeous! 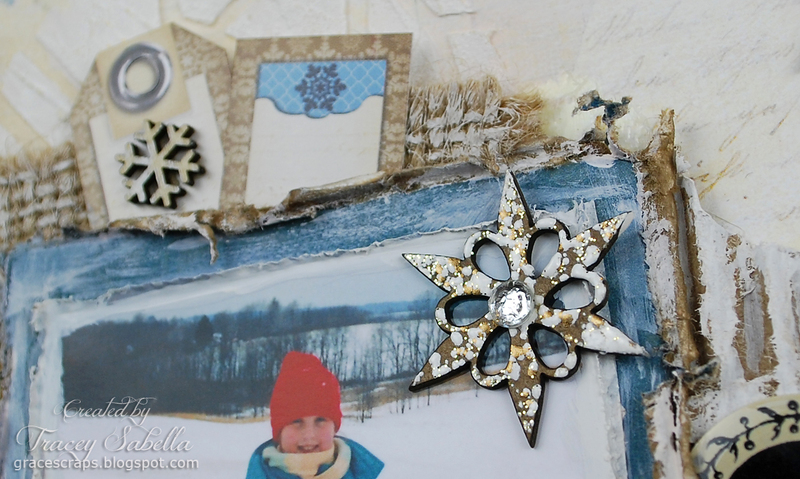 Love your wintery page and great closeups! beautiful!! yes! I really love the snowflakes! Wow, this is stunning, Tracey!! All of the details are amazing!! I love the snowflakes and flowers!! Absolutely gorgeous! !